Cash flow, which is the movement of money into or out of a business, not only enables the business to support its operations, it also fuels the growth of the business. Free cash flow (the cash that's available once all cash expenses and taxes have been deducted) enables the business to enhance shareholder value through acquisitions and the development of new products and markets: it also ensures that the business has sufficient funds to pay dividends to its shareholders. For those reasons and others, the amount of cash a business has at its disposal is a very important consideration for long term value investors. Stock exchange listed companies are required to report (in the form of an income statement) their quarterly cash flows to the SEC, their investors and the public at large. The report summarizes the cash inflows to the company from its on-going operations and external investment sources; it also shows all outflows associated with the business's activities and any investments/capital expenditure made during the quarter in question. Providing the value investor is reasonably sure of the accuracy of the company's cash flow position, he or she can use the current cash flow figure to project future cash flows. Caveat: Regular income statements don't always reflect the company's true cash position - here's why: although the company may have won or lost a major contract or customer, the subsequent effect on cash flow may not materialize until the following quarter, or even later. In other words, until the consequences of the event show in the company's bank account, the effect on cash flow (and the subsequent profits or losses) resulting from the gain or loss of a contract or a customer, exist only on paper. DCF is a valuation metric used by investors (one of the sources of capital for a large business) to gauge the attractiveness of an investment opportunity. Most people accept that money loses value over time, which is a particularly important consideration for value investors who are buy and hold, long term investors: it's a fact that next year's $100 will be worth less than this year's $100! The value investor will apply a DCF analysis to projected cash flows (perhaps over 5 years or more) to arrive at the net current worth of those projected cash flows. In this instance, the investor wants to estimate how much free cash flow a company will generate over the next five years. To make those calculations, it is necessary to forecast the company's revenues over the period. Once those numbers have been established, the investor must then estimate and deduct the company's operating costs. Finally, the investor then has to deduct taxes, possible capital expenditure (on plant and equipment etc) and the company's working capital requirements to arrive at the free cash flow figures. 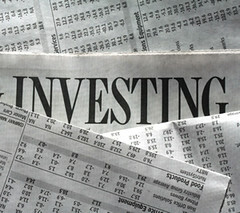 Having determined the intrinsic value of the investment over five years, the value investor then ascertains an approximate current stock price by dividing the 'real' intrinsic value of the returns ($1,895,393.40) by the number of shares in issue.If the resulting figure is higher than the current cost of the stock, then the stock may be undervalued and represent a sound proposition for the value investor. I'm a financial copywriter. My clients create and market financial products and services primarily intended for retail markets -- the public -- as distinct to the institutional markets. Some financial products can be very complicated: my role is to communicate in clear, succinct, unambiguous and engaging terms, the benefits and features of those products. I also provide (through my own websites) plain and simple explanations on topics such as investment, insurances, tax planning, pensions and personal financial advice.